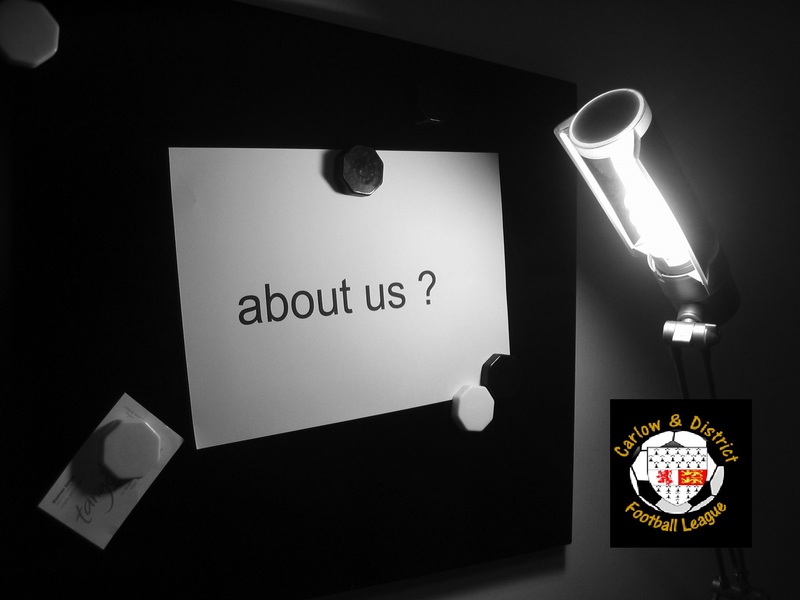 Welcome to the website of the Carlow & District Football League. Established in 1986 the league has grown from strength to strength and now boasts a competitive league with ambitious and prestigious clubs. It is the mission of the Executive Committee to dedicate its administrative services to improving the competitive position of our Clubs in all competitions. 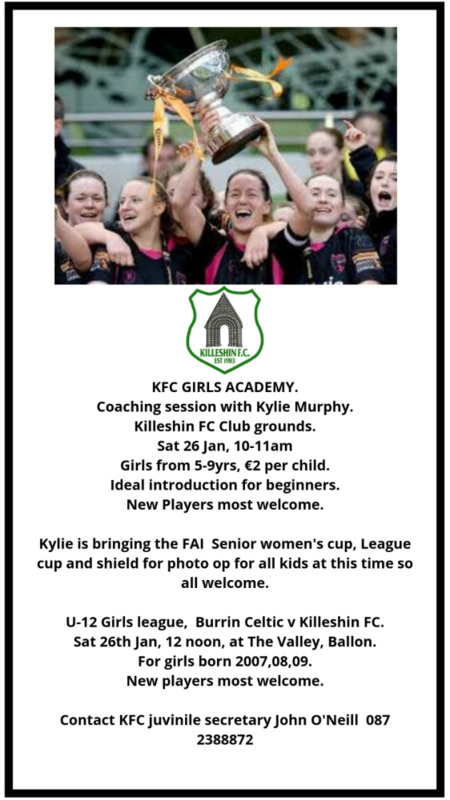 We seek to create and foster a challenging and stimulating environment in which our players can achieve their full potential through developing their skills and sustaining successful relationships with our Clubs, their communities, parishes and businesses. 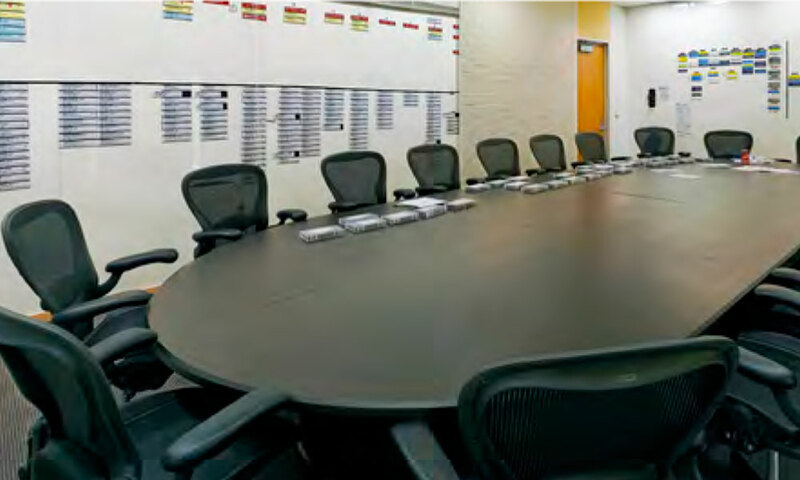 It is the objective of the Committee to develop the game within its administrative area to a point where leaders within the communities and players will strongly identify with their club and their League administrative body and its potential role in harmony with other voluntary sports organisations. 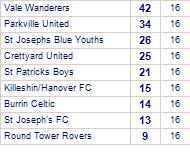 New Oak Boys has yet to be beaten in this competition, having won 11 out of its last 15 games. 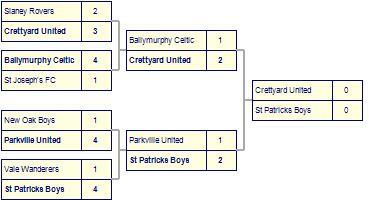 Ballymurphy Celtic's last game was a disappointing 2-0 loss away against Crettyard United. They are currently on a losing streak of 7 games. This years over 35 league sees 11 entries from across the county with all eleven teams starting in the one division and playing ten games in what promises to be an exciting season. 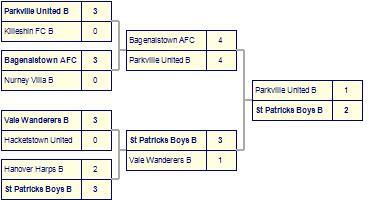 Last years winner new oak opened the season with a game against last years division two runners up and cup winner Parkville. 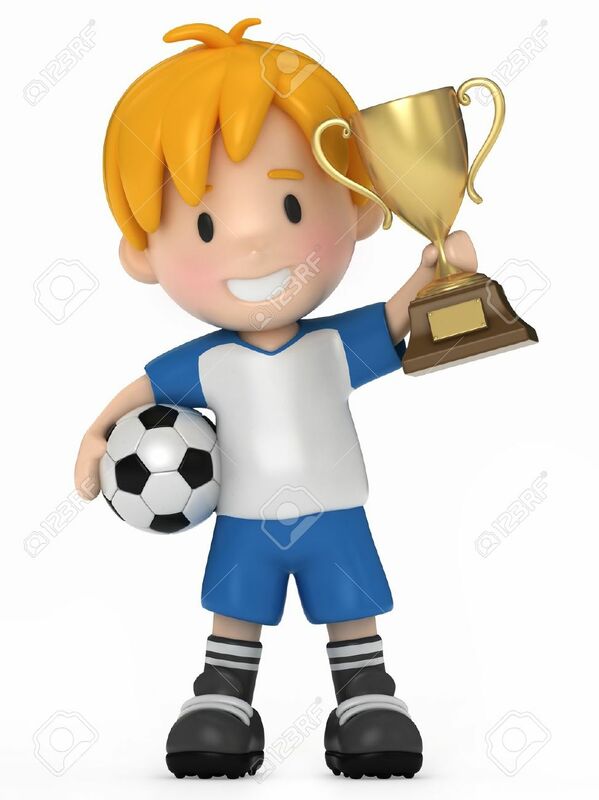 New oak won by the odd goal in a very exciting game while the other 5 games were all very close showing just how competitive this season could be. Joey’s dominated the first half, as Rovers simply couldn’t get out of their own half, but for all of their effort, they couldn’t find a breakthrough and with Rovers keeper – Richie Moore was in excellent form, as he made some great saves to keep it at 0-0, as the interval came. In the second-half Rovers passing game got going and some great work, saw Billy McDonald crossing from the wing, into Anthony Slevin, but his header didn’t find the net, but they were pressing Joey’s very hard, as they tried to control the game. Anthony Slevin was in great form and he was tormenting the Joey’s defence, which resulted in them conceding a penalty, which was calmly slotted home by Eddie Dooley for 0-1. Some more great work in midfield by Rovers’ Paul Doyle saw him laying the ball off to Damien Sheehan, who took the ball, in his stride and unleashed a Ronaldoesque strike, right into the top corner of the net, to make the final score 0-2 to Rovers. Best players for Rovers were Paul Doyle, Chris O’Brien and Rory McDonald, whilst it was a fine team performance from Joey’s, in this closely fought game. Parkville’s first home game proved to be a real test, against a strong Killeshin side, who put their defence under strong pressure, in the early part of the game, but they were simply unable to break down the stalwart Parkville defence of Carthy, Fitzgerald, Donahue and Quinn. Parkville’s first real opportunity, came from a free-kick out wide left, that was fired in by Michael Quinn and Markins Bieniasz rose highest, but his glancing header went just wide of the post. Some quick movement between Parkville’s Mick Quinn, Colm Kenny and Nicholas Nolan, presented Nolan with a shooting opportunity, but he shot high over the cross-bar. 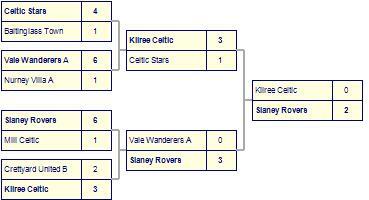 Killeshin just couldn’t create any real opportunities for themselves and it was stalemate at 0-0, as the interval came. There was a lot more of the same in the second half, with both sides vying for the opening score and Killeshin did put Parkville under some early pressure, but Parkville’s defence still stood strong and then they nearly made a ‘breakthrough’ when Niall Robinson crossed in and it was met by a wonderful header from Andrew Madden, only for the Killeshin keeper to come out of nowhere and palm the ball away to safety, which was a brilliant save. It was nip and tuck for the rest of the match, but some fine defensive work by both defences, kept the score at 0-0. It was a great team performance from the two defences, but Mick Quinn, Mick Donahue and Nick Nolan all deserve special mention for their excellent performances. For Killeshin Bryan Lawlor and Joe Travers in defence, midfield Mick McCartney and up-front Shane Coakley tried hard. 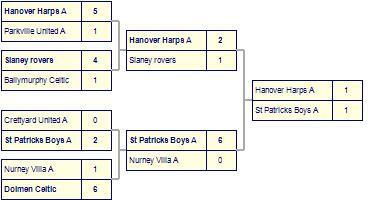 Village will be disappointed with the final score line, as they were well in the game, until the last quarter. The first-half was even with the Village defence being well organised and they were very combative in mid-field which restricted the current reigning champions to just a couple of chances from set pieces. Village could have taken the lead, just before the interval, as a goalmouth scramble ensued, following a corner, with the ball eventually, going agonisingly, the wrong side of the post and it was 0-0 at half-time. 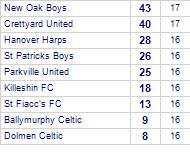 New Oak rang the changes and the introduction of fresh legs saw them break the deadlock, when Shamie Doran crossed well from the left and Seamus Farrell scored with a neat header for 1-0. Village were undeterred, by this set-back and they fought gamely to try and get back into the game, with Peter Brophy and Richie Sutton linking up well in midfield, but New Oak held firm. Village were caught on the counter as they conceded two more goals as they pressed forward and New Oak caught them out twice, from defensive errors as goals came from Seamus Farrell, for his brace for 2-0 and then Greg Sykula grabbed another to make the final score 3-0 to New Oak, which flattered the winners, somewhat. 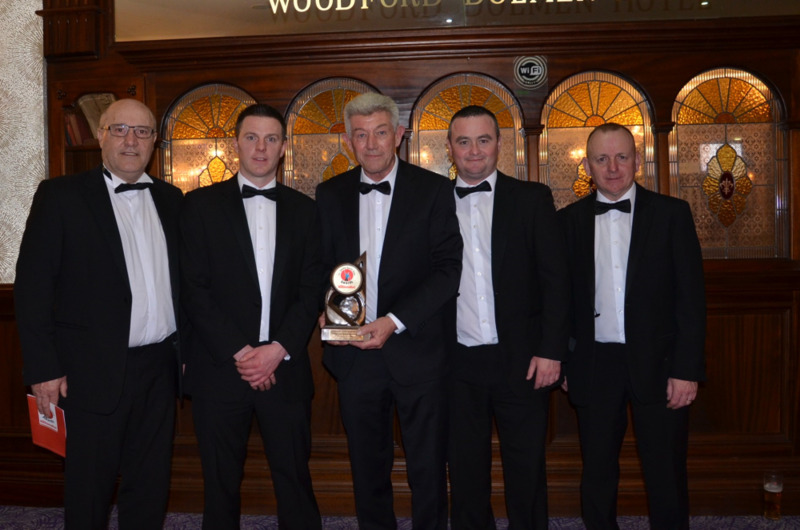 Standing out for New Oak were Shamie Doran, Seamus Farrell, Dale Lacey and Shane Fitzharris, whilst best for Village were Jerry Walsh, Paddy Foley, John McMullen and John Monaghan. The list of all award winner for 2017/18 is below. Congrats to all winners. Our dinner dance takes place on Friday 8th June where the awards will be presented. Burrin started the quicker and attacked Slaney from the outset, with Ross Nolan unluckily seeing his fine header, coming back off a post, early in play. 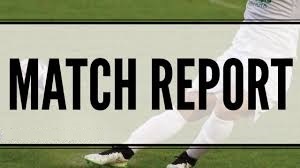 Slaney were awarded a penalty on twenty minutes which they scored, and they held on to that slender 0-1 lead up until half-time. Burrin upped their game in the second-half and they were rewarded when Ross Nolan struck with a fine shot to equalise the score at 1-1 with only five minutes gone. Burrin went all out in search of a winner and they got it when a great team move saw Ross Nolan getting his head on the end of a fine cross to score the winner. 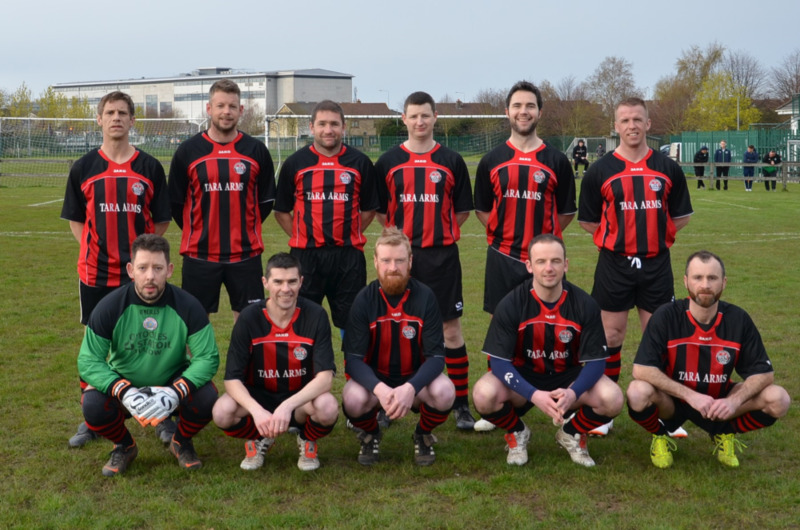 Burrin saw out the game to end up winning 2-1 after a great all-round team performance. 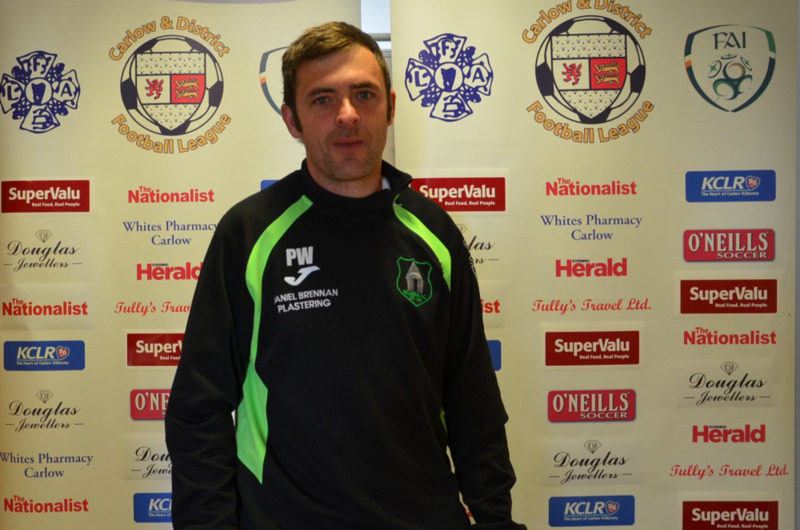 The Carlow & District Football league in Partnership with F.A.I. Football Development Officer for County Carlow Garry Coady hosted the FAI’s first ever Adult Intro Coach Education Course for Male and Female coaches in ITCarlow on Saturday. 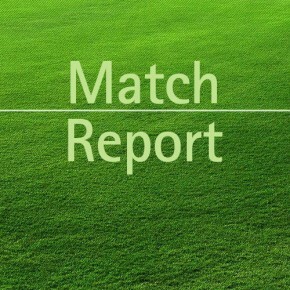 Match reports on all Men’s junior games from both teams to reports@carlowsoccer.ie before 5pm on Sunday. 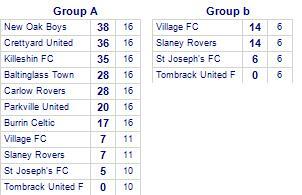 Youths match reports from both teams to reports@carlowsoccer.ie before 8pm on Saturday. 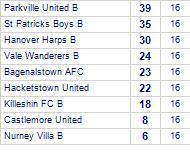 Seniors (O35s) match reports from both teams to reports@carlowsoccer.ie before 9.30pm on Saturday. 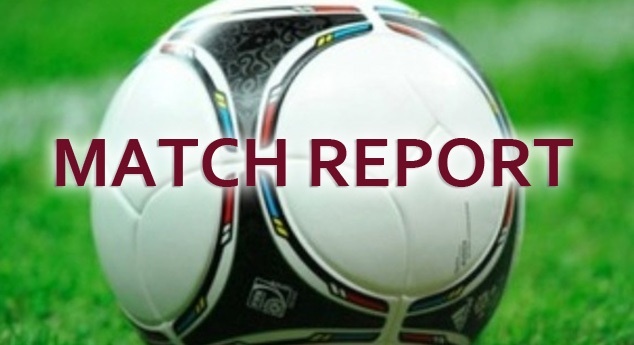 Women’s match reports from home team only to reports@carlowsoccer.ie before 5pm Sunday. In subject line be sure to put in the competition followed by teams and score e.g. 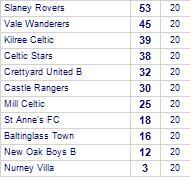 Nationalist Premier Division: St Fiacc’s 0 Baltinglass Town 0. 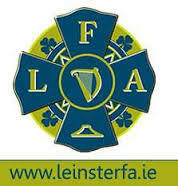 The Carlow & District Football League are affiliated with the Leinster Football Association and also the Football Assocation of Ireland.